“She don’t wanna be saved, don’t save her!” The first time I listened to the song ‘No Role Modelz’ by J. Cole I knew that I would not be disappointed. I really couldn’t wait to get an eargasm from the rest of the songs from his album. The Twitter streets were buzzing and most people were really impressed with Cole’s new work. I must say this album is more conscious and the story telling is on another level! 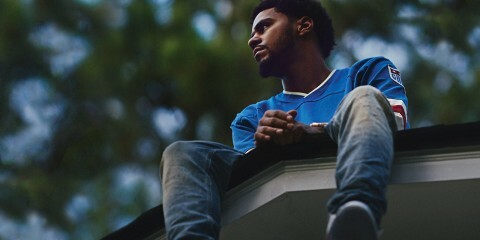 Songs like ‘Apparently’ give you an insight about what Cole has been through emotionally and his transparency and openness is exactly what we need! ‘January 28th’ was another song that really stood out to me, not only because he kept ish real but because he was addressing most of the problems we face as society, especially when you come from a black community, it’s the kind of song that makes you think about how far we have come as a nation, not forgetting to mention the shots that were fired to some of the artists in the music industry, but hey that’s a story for another day! Other tracks like ‘Fire Squad’ were on point! This song reminded me of Cole’s hit song ‘Who Dat?’ where he is just spitting and letting everybody know why he’s in the rap game and why he is intending on staying and flipping the switch! The beats are not too much, so you can hear his lyrics very well on that song. It’s all about him going in HARD! I know a lot of guys were going on and on about ‘Wet Dreamz’, surely most of them could relate. But overall I must say J. Cole poured out his soul and talent on most of these songs and he always reminds us that Hip Hop is a culture and a movement. The beats completed each song and his flow was proper. His songs will make you think and remind you why music is art! A definitely must-have classic piece of dopeness. SA Hip Hop Awards – and the winners are!